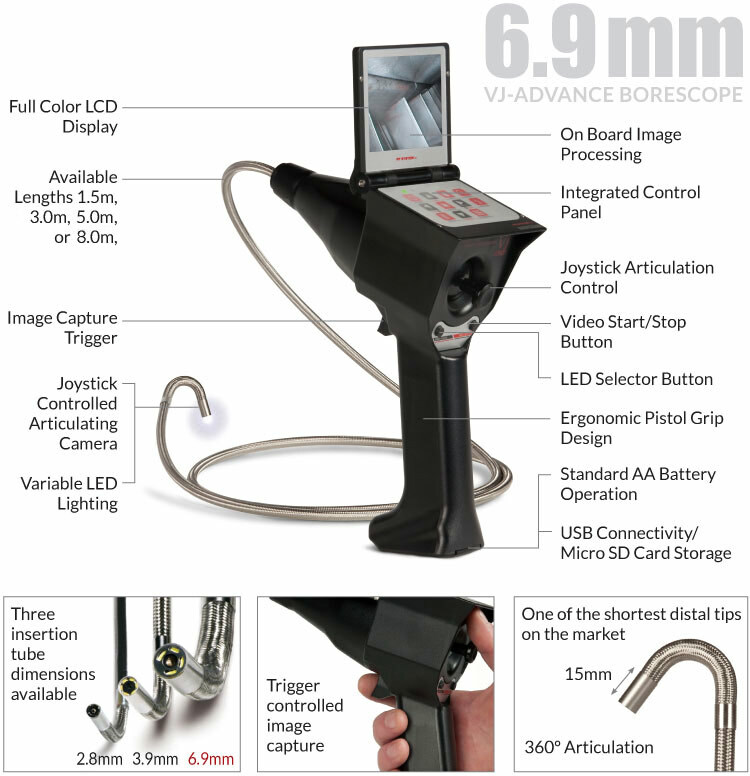 The VJ-Advance, 6.9mm video borescope, delivers all the features you would expect in a high-quality video borescope at a price that makes it accessible to almost anyone. The 6.9mm VJ-ADV is ideally suited to accessing the smallest areas you need to inspect. No other company offers a smaller videoscope with full joystick-controlled, 4-way articulation. Available in 1.5m, 3.0m, 5.0m, and 8.0m lengths.